Welcome to radargunsales.com, the only place online you can find the world’s finest brand name sports radar gun, police speed gun, speed measuring equipment selections. All our guns and related products on our site are handpicked for a variety of applications. We are an authorized dealer of FIRST QUALITY , “Made in the USA” products from Stalker Radar, Sports Radar, Jugs, Pocket Radar, Decatur Electronics, Phantom, Rev Fire, Speedtrac, Bushnell. Radar Sports is your one stop for police radar guns , traffic radar guns as well as Speed Signs and Trailers. Our overriding goal at Radar Sports is to make you, our customer, feel satisﬁed and fully educated while shopping for speed guns and all your radar gun related products on our extensive ecommerce site. Our commitment to customer service and satisfaction is second to none. The guiding philosophy to our business it to enable you to obtain full knowledge of the workings of all our products at the most competitive price on the web. Our customer service specialists are experts in the ﬁeld of sport radar , traffic radar, and all our sports related products. We will guide you into the correct product for you needs by asking you what you are seeking to accomplish with your purchase and how we can ﬁt this into your budget. From the Backyard Dad to a Major League Scout , Radar Sports is dedicated to offer the highest level of service. 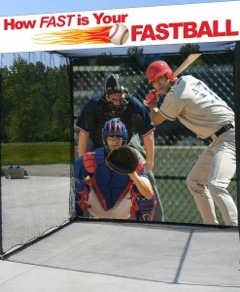 Our Inﬂatable Speed Pitch and swing speed radar is ideal for corporate events, college and school events, major and minor league fan participation , fundraising , and carnivals . We offer sports images as well as custom logo design options for all opportunities involving fundraising , marketing and business opportunities. 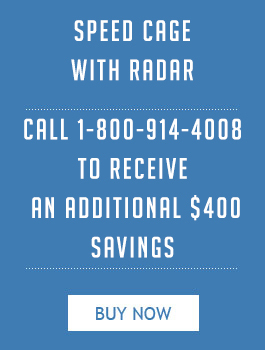 Radar Sports only sells NEW ﬁrst quality radar equipment from the leading “Made in the USA” radar gun manufactures.Our sports radar gun selection includes, a Radar Gun for Baseball, Softball Radar Guns, Tennis Radar Guns, Golf Radar Guns, Soccer Radar Guns, Hockey Radar Guns, Lacrosse, Radar Guns, as well as Bat and Golf Swing Speed Radar. We also offer an extensive selection of Specialty Radar Guns used for Low Speed Radar guns, Railroad Radar Guns and Surface Velocity Radar Guns. 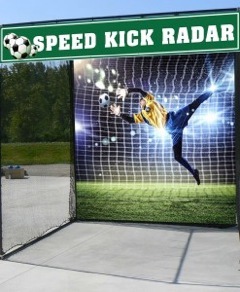 Our Speed Pitch System as well as our Inﬂatables are also made in the USA and all our radar equipment is fully warranted from the manufacturer. We have now included an extensive area of Custom Graphics and Prints items for all your advertising and promotional needs. 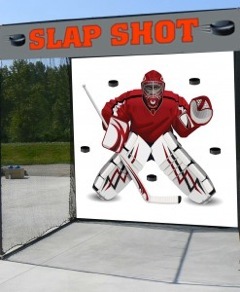 Radar Sports is also committed to offering the most competitive prices on sports training equipment including Jugs pitching machines, batting cage equipment, baseball training equipment, golf cages, hockey nets, and pitching mounds. Stalker Radar – Stalker Sport, ,Stalker Pro, Stalker Pro II, Stalker Sport 2, Stalker Solo 2, Stalker ATS II,Stalker LED Speed Sign Systems,Sport Radar – SR 3600 , SRA 3000, DT 100 , NFSC II/IV, DL431, DS400, DL834, Jugs radar guns – The Jugs Gun, R2100, R2000, Jugsspeed 3 Digit Display, Jugs 3, Digit Wireless Display, Speedtrac X, Pocket Radar, Revfire – Revfire Baseball, Revfire Softball, RevFire Softball/ Baseball, Phantom Sports Pro , Phantom Hand Held, Radar Pitching Trainer, The Radar, Pure Flight / Pure Launch, TC Timing System, Railmaster, Genesis- Genesis Hand Held Directional, The Scout, Decatur – On Site Speed Spy, On Site 50, On Site 75, On Site, 200, On Site 300, VieVu, EZ Stat.